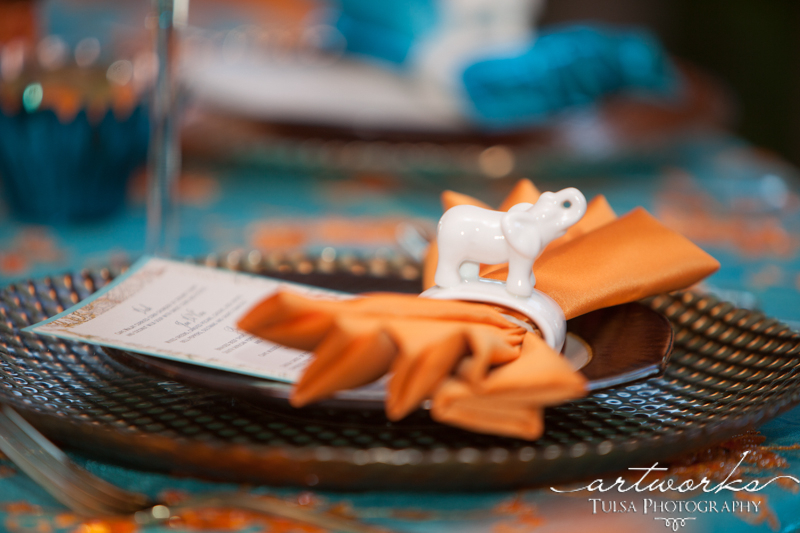 See more of Lasting Impressions' fabulous exotic, travel-themed wedding photo shoot we did with Brides of Oklahoma at the beautiful Skelly Lodge. When it's dreary outside like today, I like to think about combinations of wedding colors that make me happy. We're in Brides of Oklahoma! 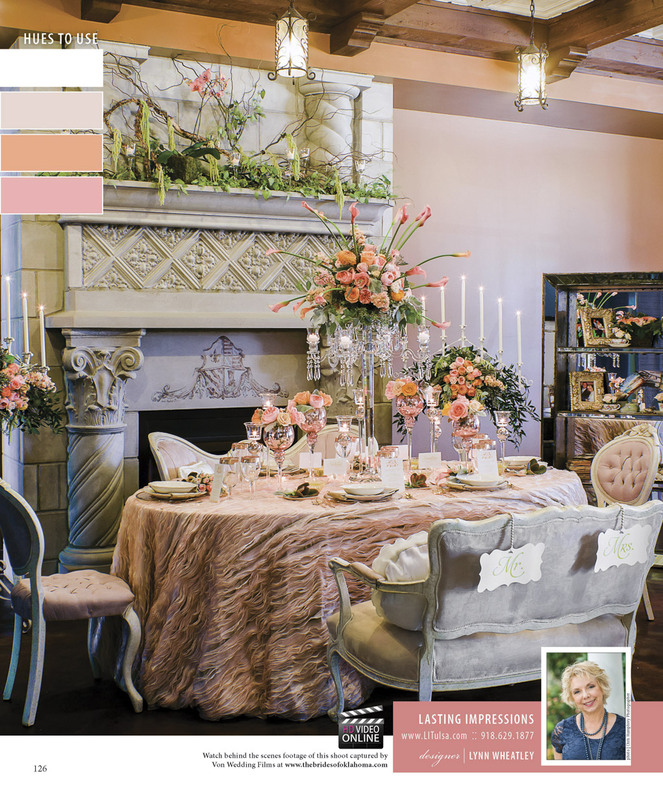 We are extremely excited about our wedding design in the new Brides of Oklahoma magazine just out. If you haven't picked up your copy, then run out and get one! Chris Humphrey of Chris Humphrey Photographer captured all the glamour and our hard work. Wedding colors, how do I love Thee? In RED of course! We've been privy to lots of RED weddings over the years - whether simple or extravagant, the color RED always adds a lot of HEAT to the event. Searching for the perfect way to seat guests at your wedding reception? Check out these wedding seating chart ideas from Colin Cowie! As the days grow cooler, we're filled with fall wedding ideas! It's the perfect time of year for outdoor weddings. Some of our favorite weddings have happened in the fall months of September and October. 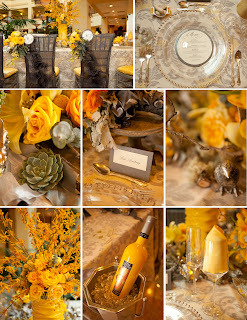 We love these wedding colors so much that we designed a Pewter and Sunshine table for the January 2012 Tulsa Wedding Show. Wedding inspiration was on the menu at The Special Event Wedding Luncheon! 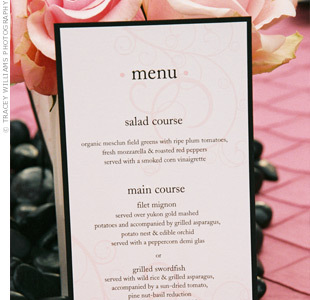 Menu Cards: Do You Need Them for the Wedding Reception? 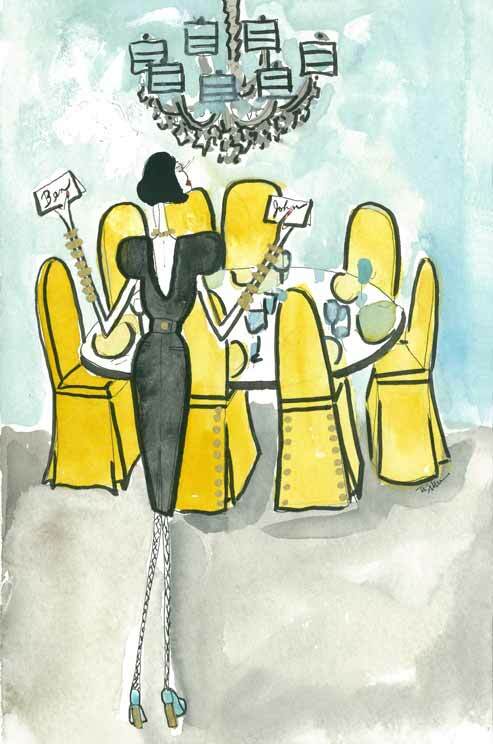 Menu cards serve a practical function to let your guests know WHAT they will be eating at the wedding reception. So, should you have them? Here's a little "touch of pink" wedding inspiration! Fabulous Manola Blahnik pumps make the perfect something blue for your wedding. I never thought I'd see this again: pink tulle is making a wedding comeback! Here's a creative save-the-date idea for your Valentine's Day! Allison and Adam's wedding is featured in Tulsa People magazine. For an elegant western themed wedding, Bridal Creek lodge is Tulsa's newest wedding venue! Bird-Themed Objects Sure Are Popular! Birds are the perfect way to convey a woodsy and organic theme to any setting. Lasting Impressions at The Tulsa Wedding Show! Lots of fantastic ideas were at The Tulsa Wedding Show this weekend! 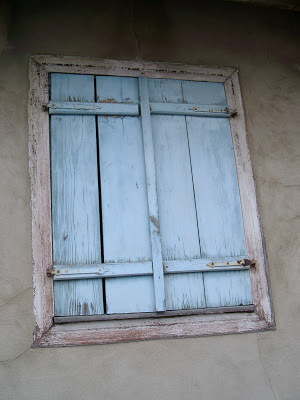 Pantone announces the 2010 color of the year and it is PERFECT for weddings! What can you do to make sure you get the flowers you want for your own wedding?